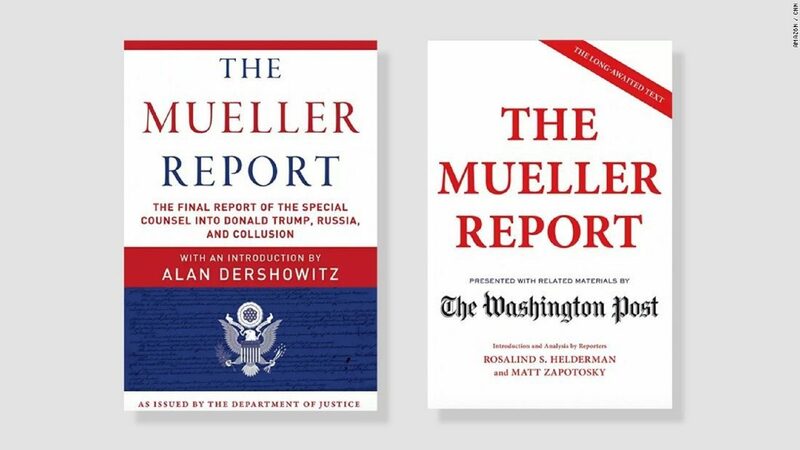 Three versions of "The Mueller Report" soared to the top of Amazon and Barnes &amp; Noble's best-selling book charts in the 24 hours after a redacted version of Robert Mueller's findings were released on the web. Several different publishers are rushing competing versions of the report out to bookshelves. They're betting that some people will want a copy of the two-volume report for history -- and the Amazon rankings suggest that they're right. Can Joe Biden save Democrats from themselves?